If you are not very good at painting your nails and you always spread the colour on your skin, let me tell you that you are not the only one. 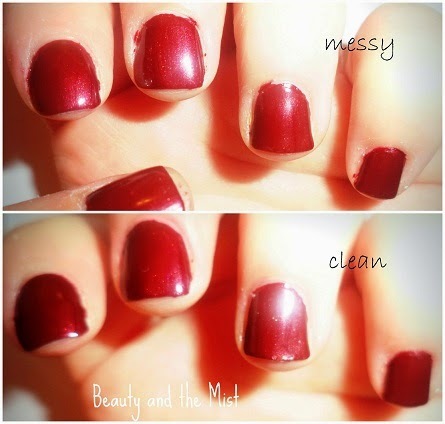 Personally, I find it hard to paint my nails and not make a mess. Here is a quick tip to erase the extra paint from your fingers. 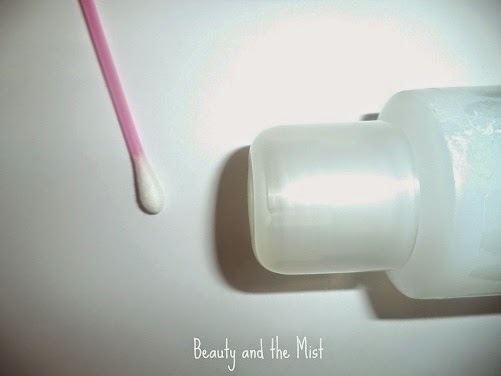 Except for the corrector pens which contain nail polish remover, you can get rid of the mess by using a q-tip dipped in your nail polish remover. Use it like a marker on the skin around your nails. The thinner the q-tip is, the easier it will be to be more precise.